Popular iPhone Photography App Instagram Is Coming To Android! 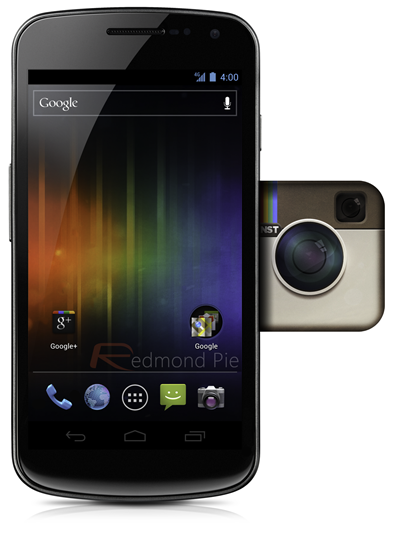 According to a report published earlier today, popular iPhone photography app Instagram is being readied for Android. Details after the jump! The news comes from CNET – a technology and media website – in the form of a report on its Deep Tech blog in which they cite CEO Instagram Kevin Systrom’s statement regarding Instagram for Android. Instagram has risen to popularity in the photo-sharing realm just with an iPhone app, but Chief Executive Kevin Systrom today said an Android version is on the way. Systrom’s statement comes from his talk to attendees at Paris’ LeWeb conference. “We have two people working on Android now,” said the CEO. “I’m excited to be able to see our numbers today nearly double.” He didn’t mention how soon Instagram will be released but we expect to see it in weeks now, rather than months. Instagram was launched back in late 2010 after its developers discovered the market that existed for a good photo-editing and sharing app for the iPhone 4 because of its exceptionally strong photographic performance (for a smartphone, that is). When you consider just how many me-too photography apps sprung up after Instagram gained popularity, one can say that is one of the most influential mobile apps in recent history. Currently, there are between 14 million to 15 million registered users on iOS and once it hits Android, this number is expected to double. For the uninitiated, Instagram is a free photography app. There are three basic steps involved in using Instagram: you take a photograph (or load one from the gallery), apply one of the sixteen filters and then upload the image to a variety of social networks such as Facebook, Twitter, Flickr, Tumblr, Posterous and Foursquare. Until its release, Android enthusiasts still have a wide variety of photography apps to choose from. My personal favorite is Pixlr-o-matic, or maybe it’s Lightbox, or perhaps it is Paper Camera. Yep, like I said, there are way too many to choose from! You may want to check out our post on Top Photo-Editing and Sharing Apps for Android for more.